U.S. Secretary of State Mike Pompeo will host the swearing in ceremony this morning of Elan Carr as the Special Envoy for the State Department’s Office of Religion and Global Affairs, the agency tasked with monitoring and combating anti-Semitism in the United States and abroad. The post remained vacant until Carr’s appointment in February 2019 despite the significant congressional pressure to fill it. The Hill reported that 44 lawmakers representing both parties signed a letter to President Trump sharing their concerns that the post remained unfilled. Maryland Democrat Senator Ben Cardin called the position, “critical to the global and domestic fight against anti-Semitism” and said it were needed amidst an uptick in anti-Semitic episodes worldwide. Carr’s appointment couldn’t come at a more crucial time. 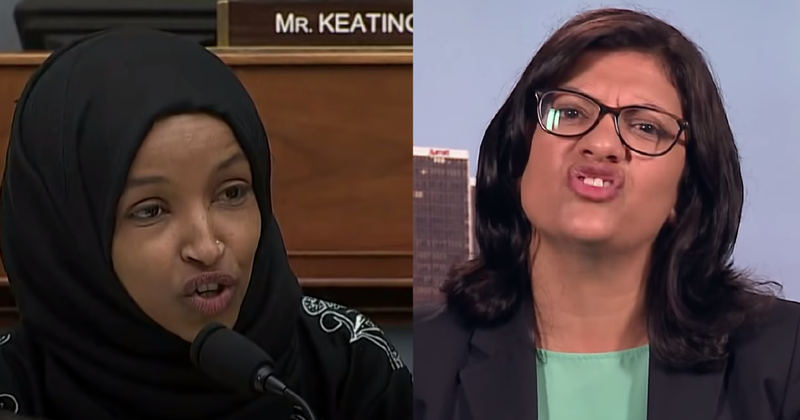 An online petition that has more than 25,000 signatures today was started by an organization called Stop Antisemitism and calls on U.S. Attorney General William Barr and special anti-Semitism envoy Elan Carr to investigate the Council on American-Islamic Relations’ (CAIR) Hamas ties to Congresswomen Ilhan Omar and Rashida Tlaib. The petition claims the pair are “strong allies” of the organization and that the organization helped get these Muslim women into office. On the petition web page, it explains that CAIR was founded following a 1993 meeting in Philadelphia of the U.S. Muslim Brotherhood’s Palestine Committee, which the Department of Justice has described as a covert organization established to support Hamas. In 2007, CAIR was listed as an unindicted co-conspirator in the case that found Holy Land Foundation responsible for siphoning over $12 million to Hamas. A 2009 ruling by U.S. District Court Judge Jorge A. Solis determined that CAIR is Hamas. Elan Carr is an Iraq war veteran, JAG officer and grandson of Holocaust survivors. His heritage is part Iraqi Jew and Ashkenazi Jew. Both of Carr’s parents and his stepfather are all immigrants to the United States, with his mother having fled from Iraq to Israel, and his stepfather having fled from Nazi-occupied Bulgaria to pre-independence Israel.